Clear all jellies and reach 250000 points to complete the level. 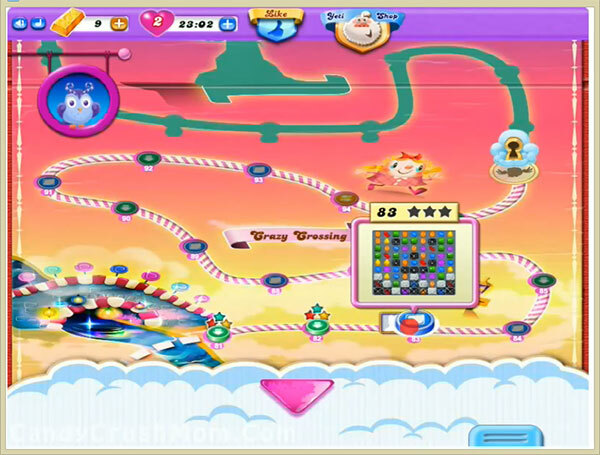 This level have three jellies that are in the bottom of candy board plus 7 grills and 9 other black blockers. This is hard level and need good strategy to complete this level. First you should break all blockers and grills and try to make special candies. You should use special candies to break jellies and wait till moon will struck as it could break all your jellies. We completed this level with 60400 score and luckily reach requirement within last move by using good strategy and special candies.